OH MY GOD. IT’S THE SAME GUY. It was tempting to assume that the latest X-Men instalment would be just another boring film in a long line of big blockbuster/ action/ superhero/ sci-fi movies that insist on infesting cinemas. One of just another franchise that won’t go away because the general public has heinous taste in films. 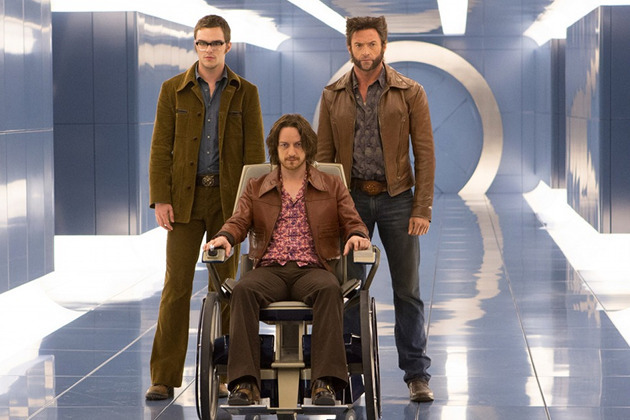 And so it was refreshing to find that on the contrary, Days of Future Past wasn’t actually half bad. I had seen the first two films by Bryan Singer (X-Men, 2000; X2, 2003) almost a decade ago on TV and didn’t remember them too clearly. I didn’t watch any of the other X-men films (X-Men: The Last Stand (Brett Ratner, 2006); X-Men Origins: Wolverine (Gavin Hood, 2009); The Wolverine (James Mangold, 2013)) until the first prequel X-Men: First Class (Matthew Vaughn, 2011) which I saw a few days before seeing the current film. I was pleasantly surprised by First Class which managed to incorporate real-world historical events into its science-fiction storyline without bordering on the ridiculous. Days of Future Past similarly references real events, both directly and indirectly, giving the franchise more credibility than others. 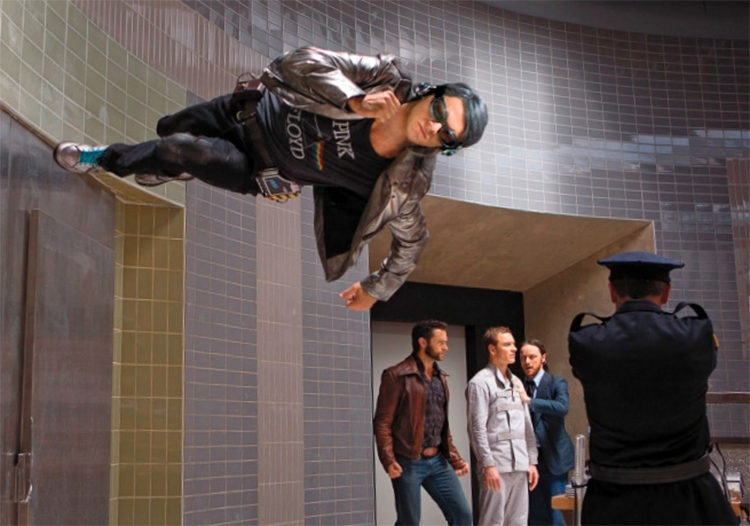 Days of Future Past follows on from First Class and I do recommend that newbies to the X-Men franchise at least watch First Class prior to the current film to gauge the context of what the hell is going on. I part wished I had re-watched the two original films (as well as watching the later ones) as well, and there’s no doubt that fans of the series will be more appreciative than X-Men virgins. Nevertheless, there is still much to be admired. In Days of Future Past, Wolverine (Hugh Jackman) is transported back in time from 2023 to 1973 in an effort to change the course of history and prevent the extermination of the mutants (individuals who each have a unique power). 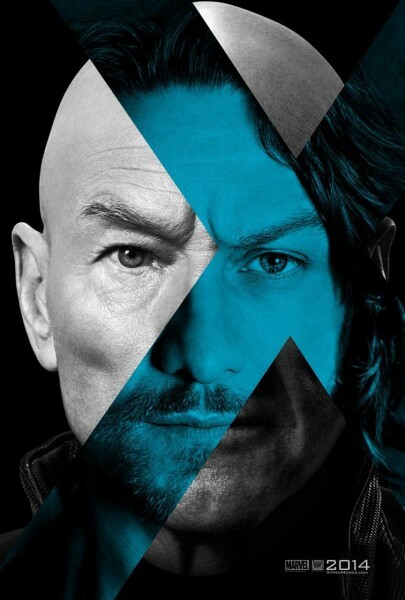 X-Men devotees will be creaming their jeans to see past and present characters within the one film, notably James McAvoy and Patrick Stewart as Professor Charles Xavier, and Michael Fassbender and Ian McKellen as Magneto. Hugh Jackman remains Hugh Jackman as apparently Wolverine does not age… much. The time travel concept is always fun, although almost never makes sense when you consider the butterfly effect. But who cares, it’s awesome. There’s a great theme throughout all of the X-Men films regarding being different and being vilified as a result. Obvious parallels with race and sexuality are evident. Mutants are captured and experimented on; they are used by authority figures as a means of uniting society against a common enemy. Indeed, much has been made of the similarities between villain of the piece, Bolivar Trask (Peter Dinklage), and Hitler. It’s not difficult to see how society could be manipulated to view the mutants as a threat, and how some mutants could fall into the trap of a self-fulfilling prophecy. Most superhero films have the basic ‘being different’ theme running throughout, but here it’s dealt with on a deeper level. One of the best things about X-Men is that there are so many different characters all with completely different superpowers. It makes all the individual superhero movies look super LAME! (See what I did there!) Maybe The Avengers are meant to be on par here (and I’ve discovered that some of the X-Men ARE Avengers) but I can’t recall them doing anything cool at all. I mean, that guy who shoots arrows? Really? Even Katniss can do that and she’s a normal human. I’m talking about ACTUAL GOOD POWERS. Like shape-shifting – you can pretty much rule the world with that power. Or transporting another person’s consciousness back in time. Or reading people’s minds. Or being able to heal oneself in seconds. Or having superhuman speed. Or CONTROLLING MAGNETS. I mean come on, these are SUPER cool powers. If I could choose a superpower I would probably go for teleportation because it’d be a big time and money saver (I’d probably go see a Broadway musical every week). But I’d even settle for being able to prepare meals quickly. That’s really not asking much, is it? Days of Future Past (along with its predecessors) has an A-grade cast. We all love Hugh Jackman but even he pales in comparison next to Michael Fassbender and James McAvoy (who in my opinion are also both better looking). The Fass kills it as usual, though unfortunately he does not wear track pants this time around. 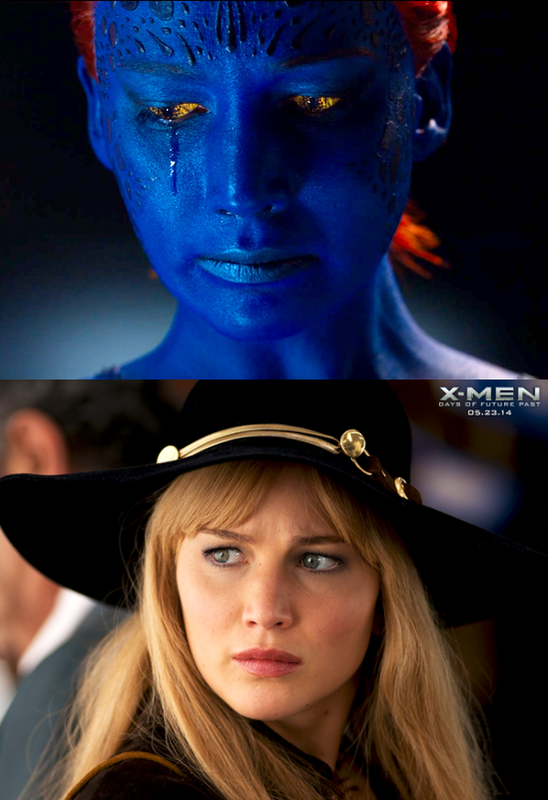 We all know that Jennifer Lawrence is amazing, though it must be hard to emote behind all that blue. 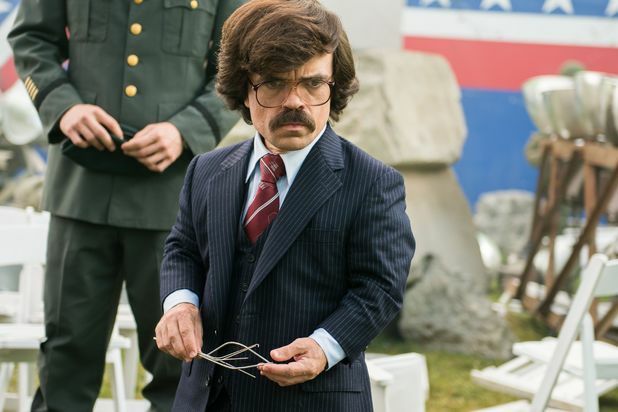 Peter Dinklage is perfection as Bolivar Trask, and Evan Peters as Quicksilver has arguably the best scene in the film, though I was distracted by his resemblance to Julian Assange. Nicholas Hoult, Ellen Page, and Halle Berry all deliver solid supporting performances. Patrick Stewart and Ian McKellen do their legendary thing. Anna Paquin somehow ridiculously receives close to top billing, despite appearing in all of three seconds of the completed film (apparently a longer sequence with her was cut). 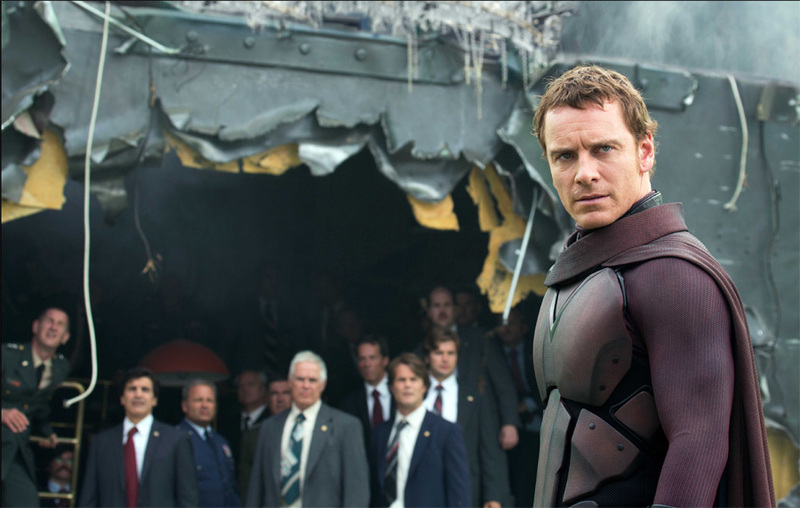 As expected, there is no end in sight for the X-Men franchise, with X-Men: Apocalypse already announced for 2016. I think I’m okay with this series being continued, because lo and behold, it’s actually a decent one. And there are still questions waiting to be answered. Most importantly: how did James McAvoy lose all that hair and become Patrick Stewart? Only time will tell.